I am so happy Tesco have decided to extend their vegan range and incorporate new recipe using their fresh products to support the vegan diet. I watched an amazing video by ‘Derek Sarno’s’ who is the gourmet veg chef. He shows you that you can create luscious, healthy & tasty food using fresh vegetables and make them into healthy meals. As he says ‘plants offer so much creativity’ which I fully agree with. I love cooking with fresh vegetables as you can make each meal unique and versatile with spices, sauces etc, and it doesn't have to take a long time to create something nutritious and not forgetting delicious!!! It’s only a benefit to eating vegetables and this recipe is quick & easy to make, what could be better?! 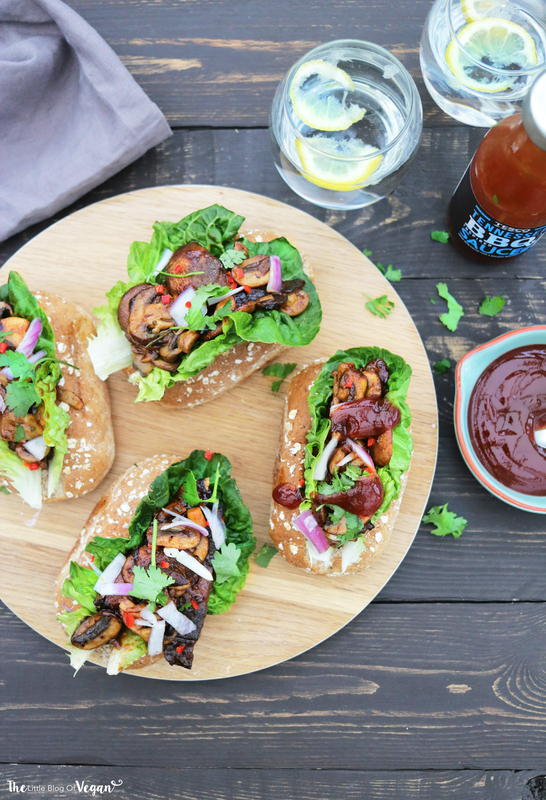 I checked out his video ‘BBQ shroom buns’ and here is my re-creation. 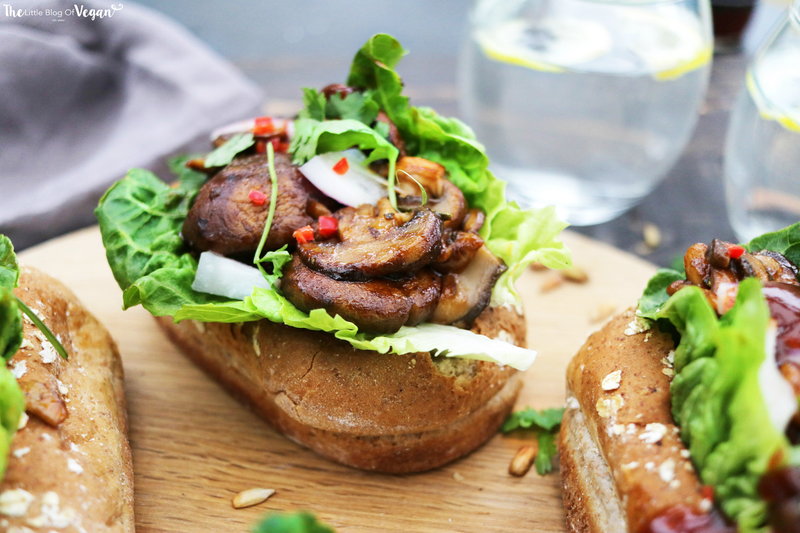 These mushroom buns are moist, filling and full of flavour. 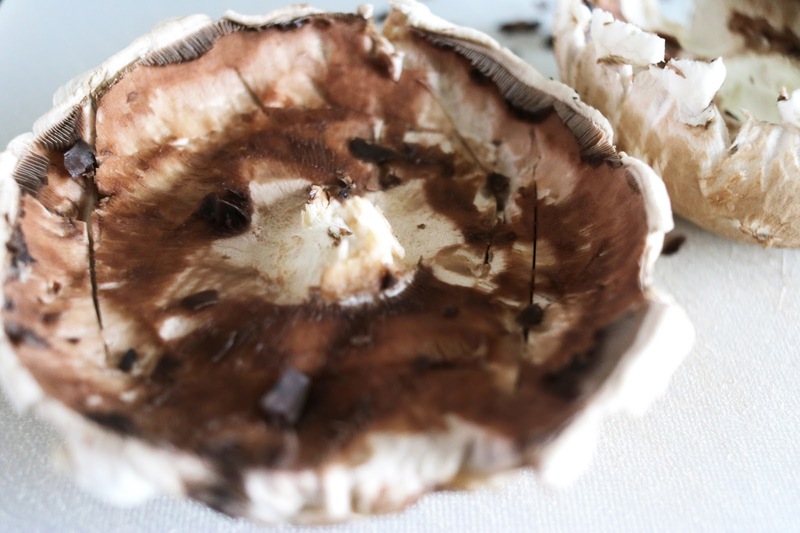 They offer great protein, fibre and anti-oxidants. This recipe is very affordable to make and all of the ingredients can be found at Tesco which is a bonus. You can great value and quality from Tesco, especially their range of organic fruit & vegetables. Step 1- Preheat the oven to gas 5, 190°C and line a baking tray with greaseproof paper. 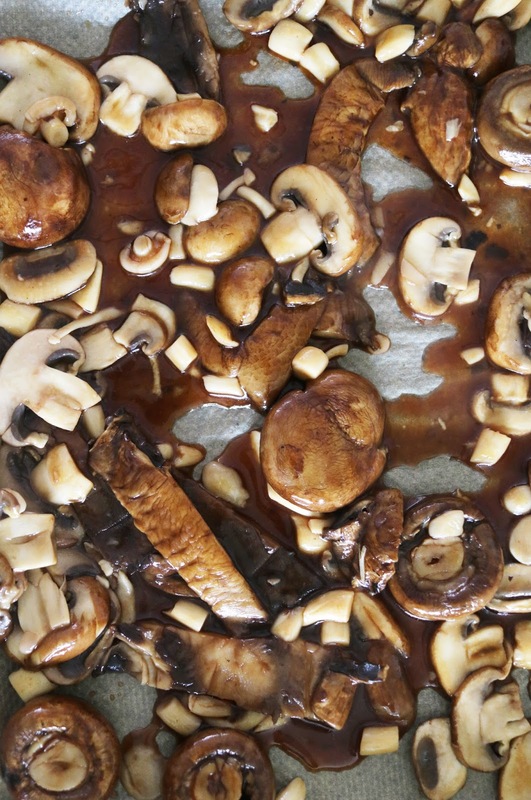 Step 2- Reserve 6 chestnut mushrooms then thinly slice the rest and all of the shiitakes. Set aside. Step 3- Scoop out and discard the inside of the Portobellos before use, as they can be bitter. 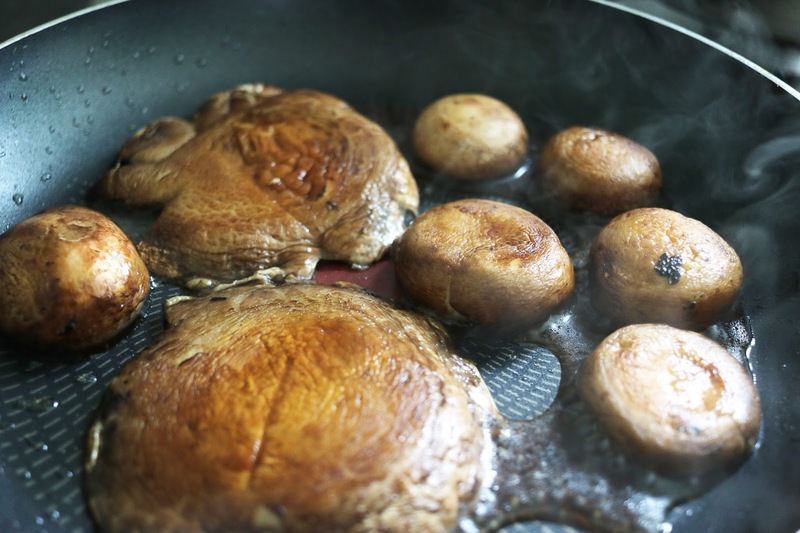 Step 4- Heat 1/2 tbsp oil in a frying pan over a medium heat. 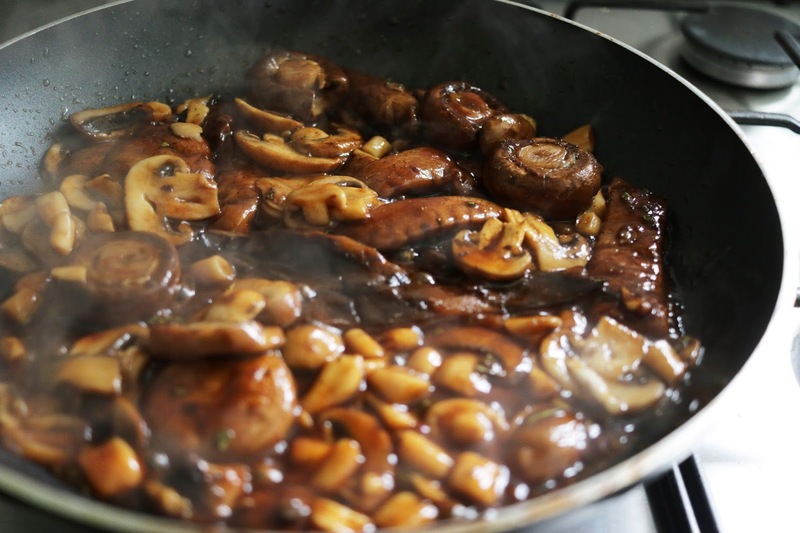 Add the reserved chestnut mushrooms and the Portobellos to the pan. 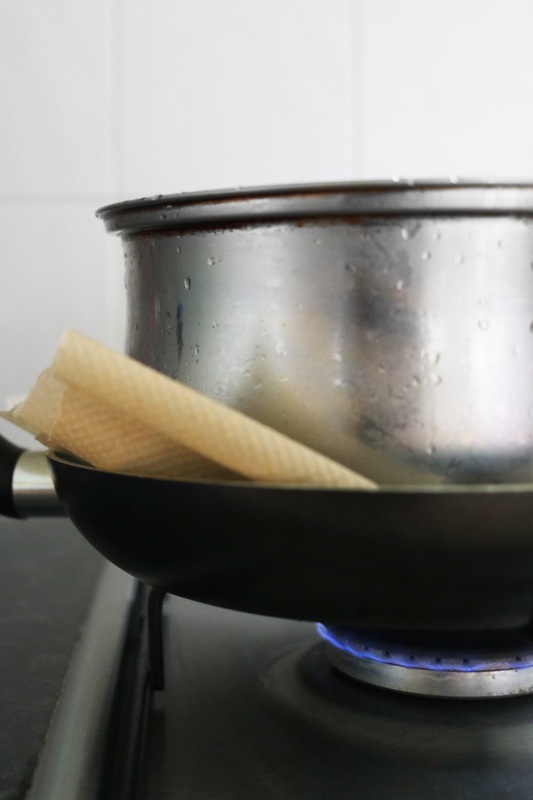 Cover with baking paper and put a saucepan half filled with water on top to flatten. Cook for 5 minutes each side, until juicy. 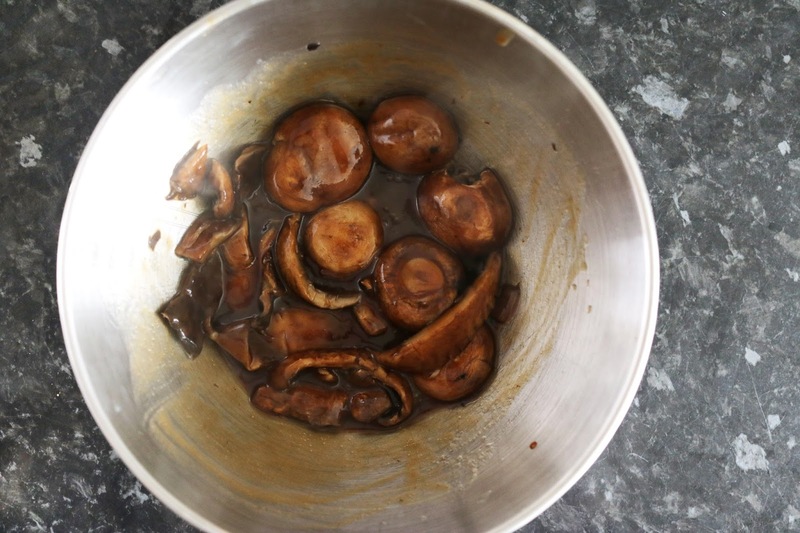 Step 5- Once cooked, thickly slice the Portobellos and transfer all the cooked mushrooms to a bowl. 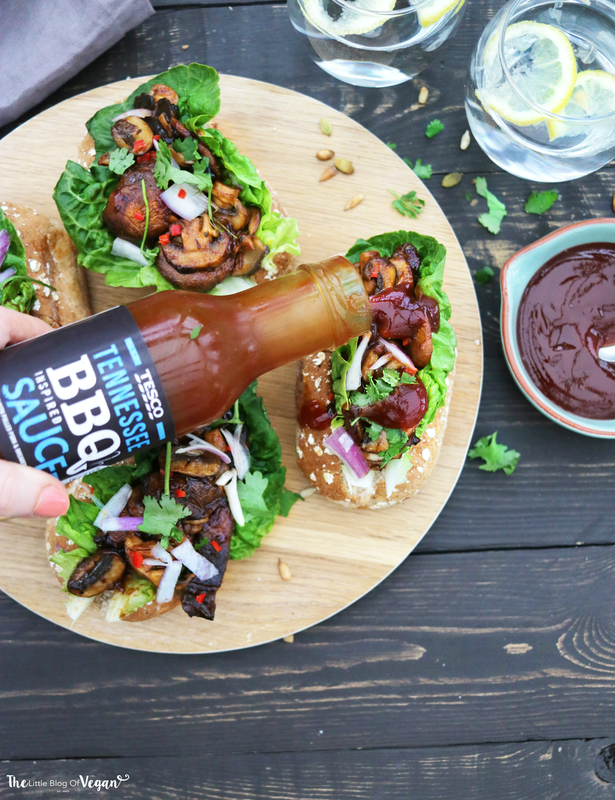 Toss in 2 tbsp BBQ sauce. 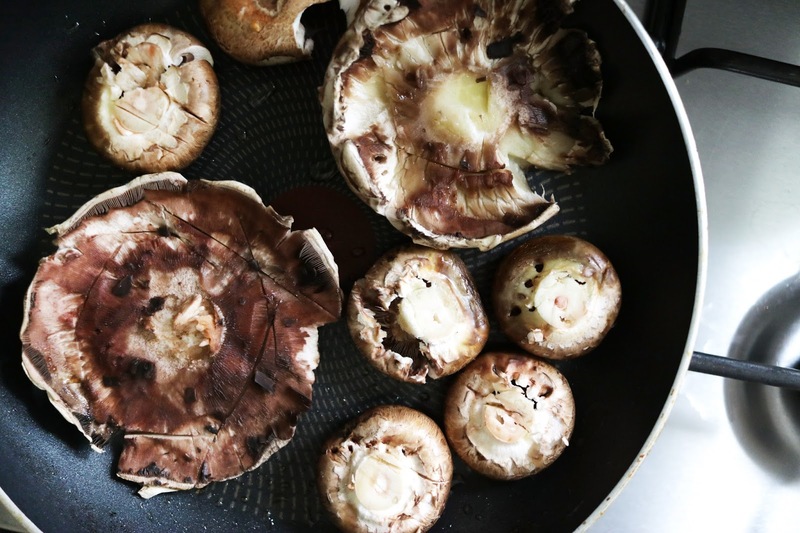 Step 6- In the same pan, add another 1/2 tbsp oil and the sliced shiitake and chestnut mushrooms. Leave for 1-2 minutes, then stir and cook for further 2-3 minutes each side, until crispy. 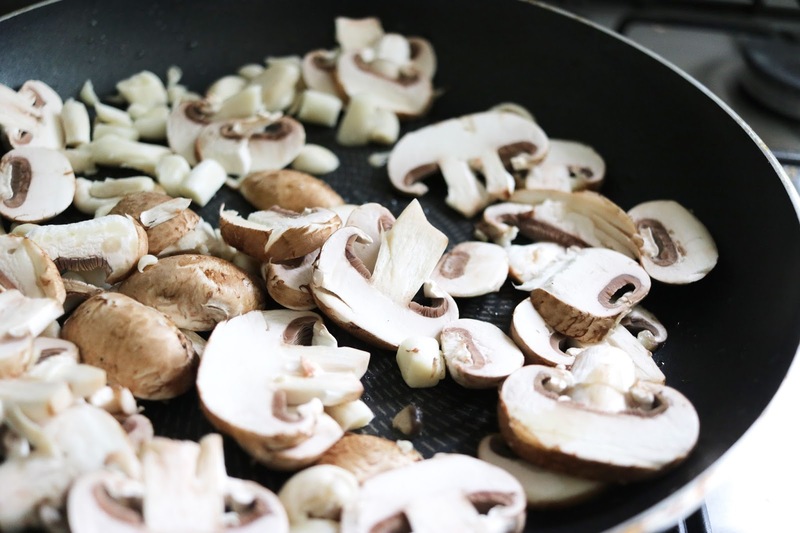 Step 7- Add to the bowl with the other mushrooms and toss. Step 8- Tip onto the lined tray baking sheet and cook in the oven for 8-10 minutes. Remove. Set aside. 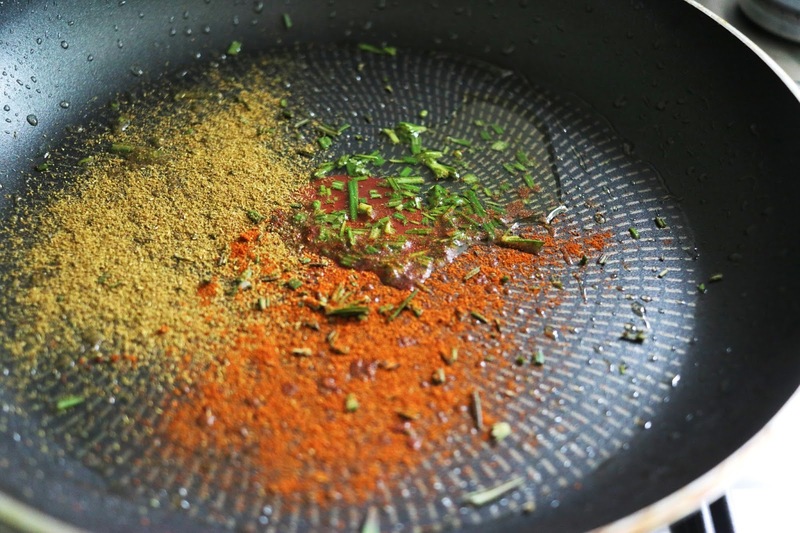 Step 9- Fry the remaining oil, spices and rosemary for 30 seconds. 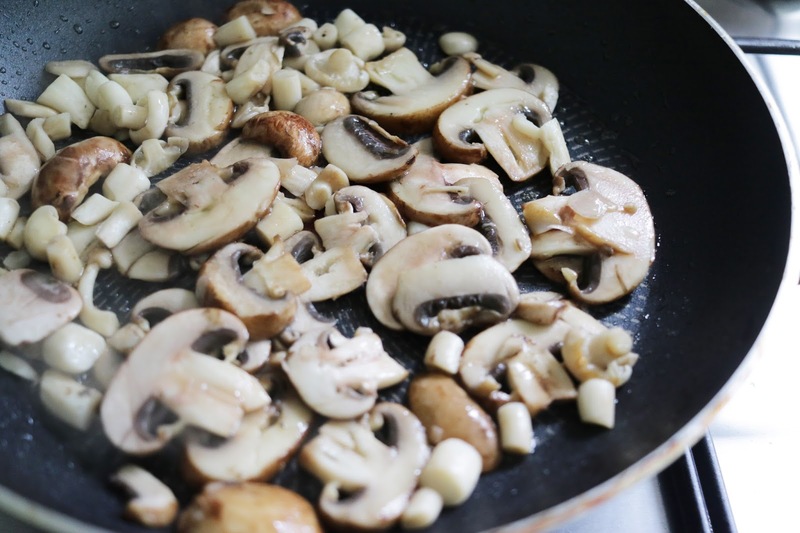 Add the mushrooms to the oil, tossing to coat. Season. 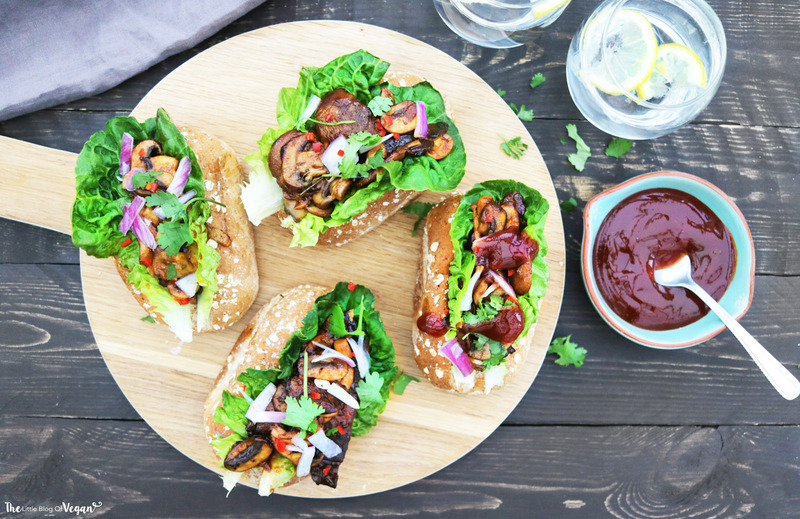 Crisp the rolls for a few minutes in the oven to soften, if you like, then fill with the lettuce and the cooked BBQ mushrooms. Finish with a sprinkling of red onion, chilli and coriander. Serve with extra BBQ sauce. Best enjoyed fresh and warm.